November 4, 2015: Songs from COLLEGE The Musical and TIANANMEN will be performed tonight at 54 Below as part of the concert From Paris to New York. Show starts at 9:30pm. Tickets and information available here. 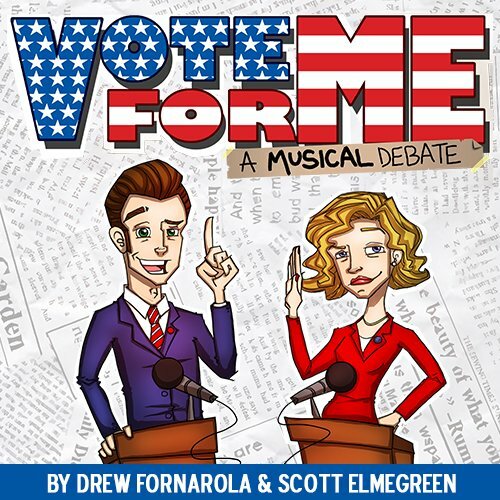 May 15, 2015: Scott is interviewed with Drew Fornarola and cast members of the London Theatre Workshop’s production of Vote for Me on the Curtain Up Show with Tim McArthur (London 104.4 fm). May 5, 2015: Vote For Me opens to raves at the London Theatre Workshop: Official Theatre (four stars), The Public Reviews (four stars), Everything Theatre (four stars), UK Theatre Net (four stars), London Theatre 1 (four stars), The Gizzle (four stars), Ginger Hibiscus (four stars), Theatre South East (four stars and pick of the week), The Musical Theatre Review (four stars). Complete reviews roundup here. February 23, 2015: New material from act 2 of TIANANMEN will be performed for the very first time as part of the New York Theatre Barn’s New Works Series at the D-Lounge, 7:30pm. January 22, 2015: Ivy+Bean begins its licensed production at El Dorado High School in Placentia, CA.